China Mobile is currently having its annual Partner Conference in Beijing. Xiaomi is among the biggest companies that are attending the conference and the smartphone maker seized the chance to demo its 5G-enabled Mi Mix 3. To recall, Xiaomi’s Mi Mix 3 smartphone was launched in October this year. At the launch, Xiaomi showcased a 4G model and said that the 5G enabled variant of Mi Mix 3 would be launched later. And now, the company has showcased the device China Mobile’s Partner Conference. Although all the specifications of the smartphone are the same as the Xiaomi Mi Mix 3 model launched in October this year, the only difference is that it comes with the latest Snapdragon 855 SoC. 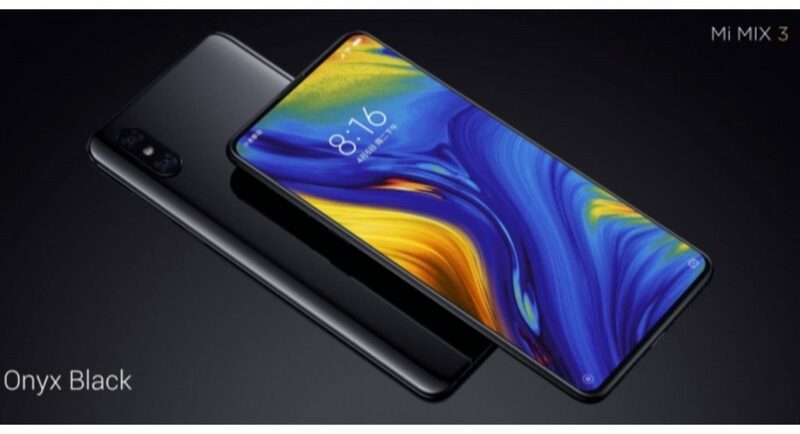 The smartphone maker has said that Xiaomi Mi Mix 3 5G combines the newest chipset by Qualcomm to its next-gen modem. This modem has some in-house antenna switching technologies that enable the smartphone to reach download speeds of 2Gbps. The new model of Mi Mix 3 mobile will retain the body of the model launched in October. It will come with a slider mechanism, a display with a massive screen-to-body ratio, a fingerprint scanner on the back panel of the device. Besides the processor, the rest of the internals of the smartphone is expected to remain the same. And this means the much-touted night mode and 960fps video recording will also be present on the new version of the Xiaomi Mi Mix 3. The Chinese smartphone maker also said that the development of the device started in 2016 and the final design and architecture was finalised in 2017. In September this year, Lin Bin posted a photo of the first device running 5G in the company’s test lab on Weibo. Xiaomi will be partnering China Mobile in pre-commercial tests in its home country. It will also be launching the device in Europe in Q1 2019. To recall the specifications of Xiaomi Mi Mix 3, it features a 6.4-inch OLED touchscreen and comes in three models – 6GB RAM/128GB storage, 8GB RAM/256GB storage and 10GB GB RAM/256GB storage. The smartphone has four cameras in total – 12+12MP dual rear cameras and 24MP+2MP dual selfie cameras.